KINETIC A lightweight stretch scrub jacket. A highly technical and functional layer that fits and feels perfect over your scrubs in any environment. Ionic Modern scrub jackets designed for the 21st century. Athletic yet sophisticated, it's thoughtfully designed with must-have features for medical professionals in any setting. We heard you: Cute scrub jackets for women that are both practical and professional are no longer a distant dream. Medelita’s scrub jackets feature a classic yet modern design, with a sleek and athletic cut to flatter any shape. 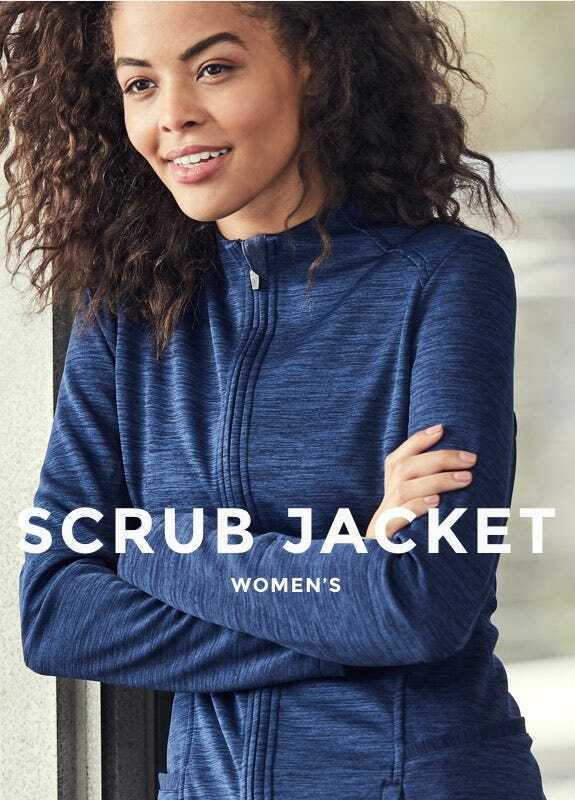 To make our revolutionary women’s scrub jackets, we created and patented antimicrobial, moisture-wicking fabric with a premium feel and durable, comfortable stretch. The fabric repels odors and stains, resists wrinkles, dries fast, and won’t shrink in the wash.
We made sure our scrub jackets for women came fully equipped to handle your busy work life. Intuitively-placed mesh pockets — as well as 3 zip-up security pockets — give you room to store and access essentials, and you can clip your badge into the designated clip pocket by your shoulder.